Hate being forced to watch ads? You're probably not going to be too happy. 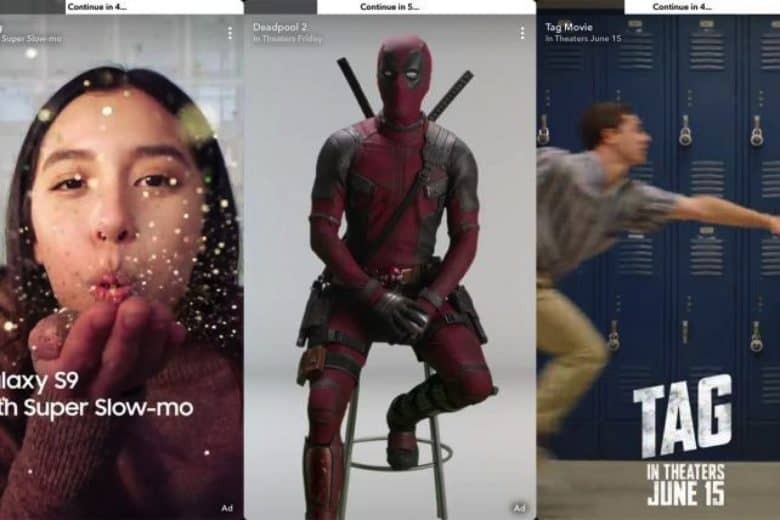 Snapchat has started rolling out unskippable ads, promoting everything from the new Deadpool movie to Snapple and Samsung’s Galaxy S9 handset. These six-second ads currently appear only in the professionally produced Shows found in Snapchat’s “Discover” section. Introducing unskippable ads marks a change in the company’s advertising strategy. Previously, Snapchat allowed users to skip commercials, although this proved to be unsustainable from a business perspective. Snapchat isn’t the only social media company to upscale its focus on ads. Recently, Facebook began showing pre-roll video ads before content, despite CEO Mark Zuckerberg previously banning them for years. This isn’t the only change Snapchat has made as of late. In 2017, Snapchat CEO Evan Spiegel announced a redesign after Snap fell short of expected growth projections for the quarter. However, this redesign proved immensely polarizing. A Change.org petition concerning the update attracted more than 1.2 million signatures from disgruntled users. Snapchat’s value then fell by $1.3 billion after reality TV star Kylie Jenner Tweeted about her disapproval of the app, saying “Sooo does anyone else not open Snapchat anymore?” Earlier this month, Snapchat apparently caved in to demands to reinstate parts of the old Snapchat user interface with a new update. In a further attempt to add some advertising dollars to its revenue streams, Snapchat is also increasingly focusing on AR filters. Late last year, Snapchat opened up its popular 3D World Lenses to advertisers.